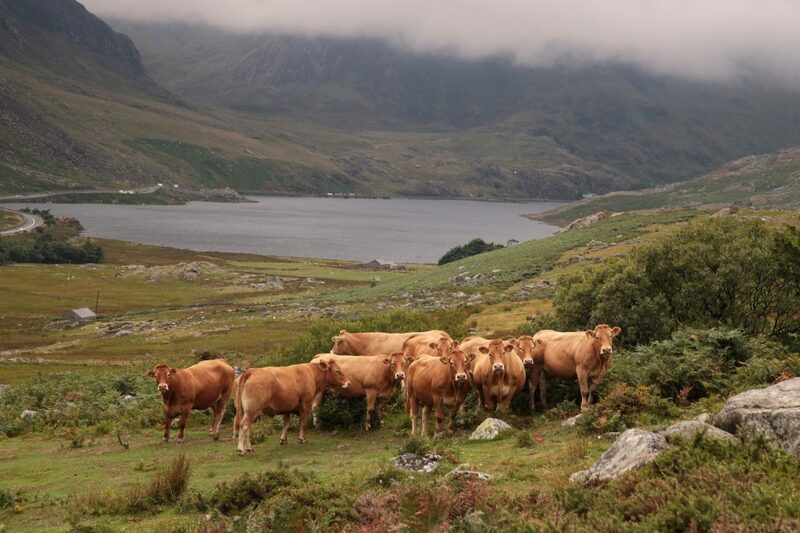 Pedigree Limousins are thriving on more than 2,230 feet high mountain grazing in Snowdonia, highlighting that sensitive upland farming can go hand in hand with food production and caring for the countryside. 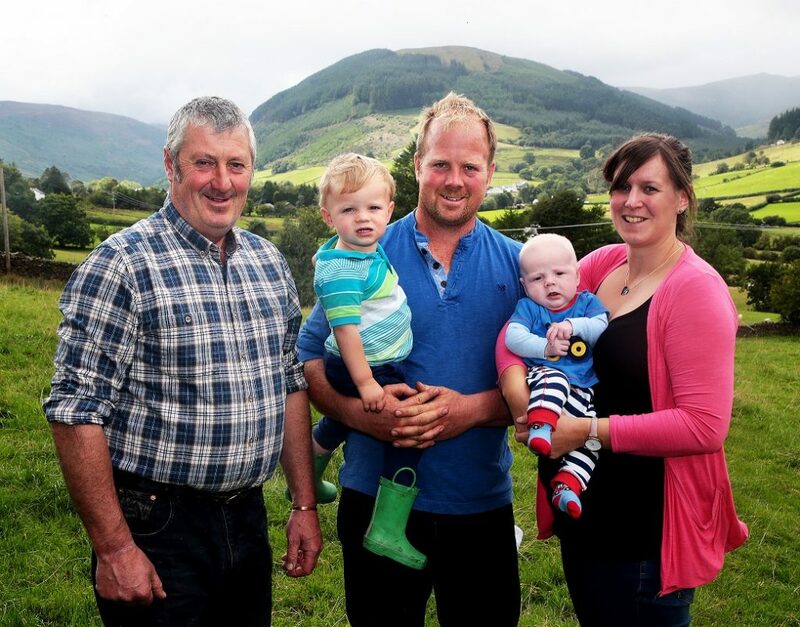 Farming in partnership with his parents Ken and Elen, Hefin Jones and his wife, Catrin, run the prizewinning Garnedd herd at Bryn Ddraenen Farm, a 32ha (82 acres) National Trust tenanted holding on the Ysbyty Ifan estate near Betws-y-Coed. The third generation to farm the beef and sheep upland unit, Hefin is a firm believer that given a different approach present day support schemes could be better tailored to reduce much of the friction between the farming industry and environmental bodies. 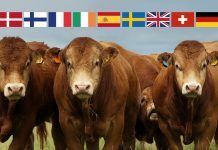 In all the family farms five sites across Betws-y-Coed, Bethesda and Anglesey, each one having a role to play in the overall farming system. 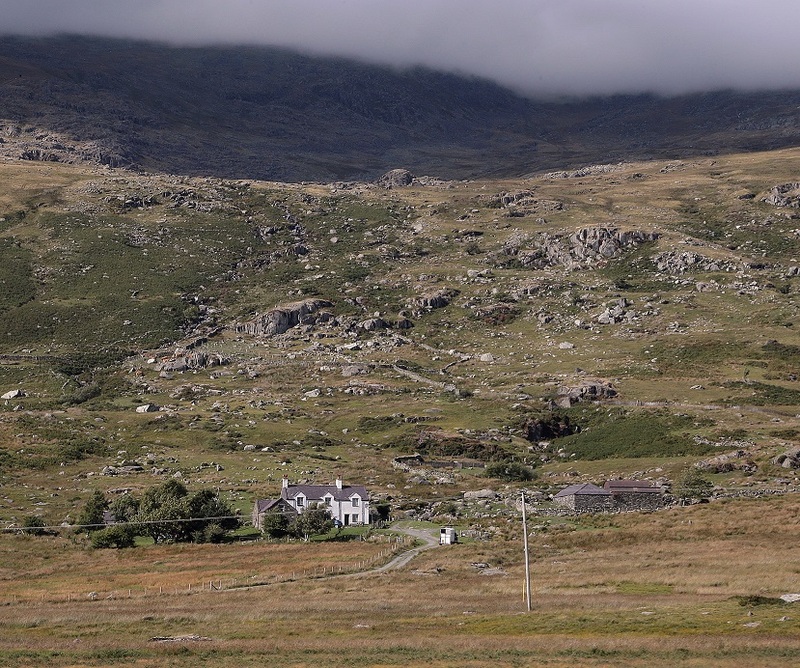 “My grandparents arrived here by motorbike and sidecar in the 1950s, coming from a non-farming background with 17 ewes and no cattle, eventually taking on the 343ha (850 acres) of Carneddau Dafydd, the third highest peak in Wales at 1,044 metres (3,425 feet) 12 miles away near Capel Curig”. The ground there is totally unimproved, being managed entirely by the presence of the cattle and sheep, with ewes and lambs kept mostly on the open top and the cattle within walled ground a little lower down. 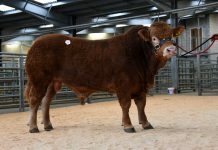 “At the time we opted for Limousins primarily because of easy calving and our first purchases, two heifers from Andy Holliday’s Eden herd at Penrith, arrived on the farm back in 1998, two years after the start of the BSE crisis and a growing awareness that adopting a specialised self-contained breeding policy was a better option than keeping crossbreds. 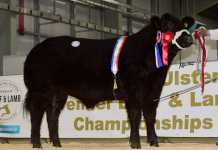 Alongside selling breeding stock the family have been successful in the specialist store sales, including attracting the top price of 4,600gns for Garnedd Model, a four and a half-month-old heifer at a Ruthin sale of show potentials. 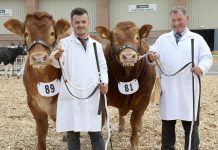 By Trueman Idol and out of the Bremore Djerk daughter, Garnedd Joy, the buyers were Leyburn, Yorkshire-based Messrs Wilkinson and Smith-Jackson. 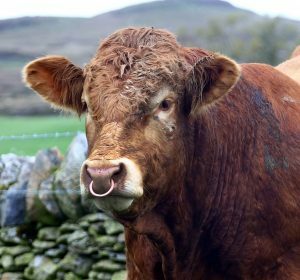 “Garnedd Junior, an embryo calf, was used on the heifers and then sold on to a local high quality beef producer. We wish we had kept him after seeing his calves and how they develop with time. Maybe one day we can buy him back,” says Hefin. 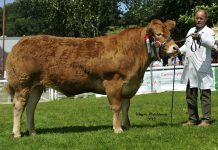 He added “It is nice to see the cattle we sell do well in shows when they have been done up like Garnedd Model and this year Garnedd Nicola is looking smart. Milk is very important for the Jones’ and they look to keep heifers from their best milky cow lines, with herd replacements being fed on silage alone, believing that they make much better cows by not having been concentrate fed as youngsters. The cows are half autumn and half spring calving, with the autumn calvers going up the highest grazings after weaning in May and June. They all come down as they calve in a tight pattern from September onwards. Winter feed for the cows is based around big baled grass silage and up to 25 acres of wholecrop fed as an ad-lib mixture from behind feed passageway barriers. Shedding consists of both cubicles and loose housing and slatted flooring. 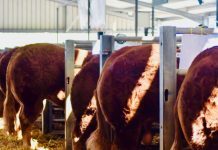 “Keeping only the cows that perform well has always been high on our agenda, which enables us to breed from our best cow families and while we are very happy with the herd we will be continuing to drive our breeding approach forward,” says Hefin. 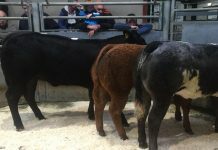 The herd lies within a low risk TB area and is part of the SAC herd health scheme. 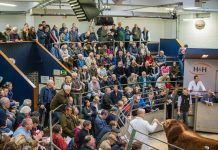 From the start of 2018 to the end of July they have sold 35 bulls for breeding, with many happy customers coming back repeated times. The family may not have the biggest bull at the day of sale but they seem to thrive for farmers and become very honest bulls. “As far as the sheep are concerned, as with the cattle, we stopped keeping crossbred ewes six years ago and today the main flock is all pure Welsh Mountain, with half being put to a Bluefaced Leicester tup to produce Welsh Mules,” says Hefin. Ram lambs are sold deadweight from mid-August onwards averaging 21kg at O and R gradings, while ewe lambs are marketed through the store sales, hopefully with everything gone by Christmas. Over the years the family have improved their ewes but still take care to ensure that they have a ewe that can do well on the mountain without the need for any concentrates. They lost a fair few crossbred ewes six years ago when a snap snowstorm in April hit the Carneddau Mountains, convincing them that under their conditions they were not getting lambs to finish much earlier than the Welsh Mountains because they lacked hardiness. Basically, they want a ewe that has a big engine, but is not oversized, so she can still eat a lot of vegetation and turn it into milk, along with a wide back end for easy lambing. Every ewe is inspected when she comes off the mountain and graded according to the quality and condition of her lamb, with the better types going to Welsh Mountain tups. That is their way of performance testing and introducing better traits into the flock. Ewe lambs go to the mountain in March or April depending on the weather, with the ewes and their lambs following on after lambing outdoors. “We easily get seven or more lamb crops per ewe and even had one with twins at 12 years old, highlighting just how efficient the breed can be,” says Hefin. “We used to lamb on the mountain but have had to change policy because of environmental scheme restrictions. It has led to a significant pressure on the land at home,” says Hefin. 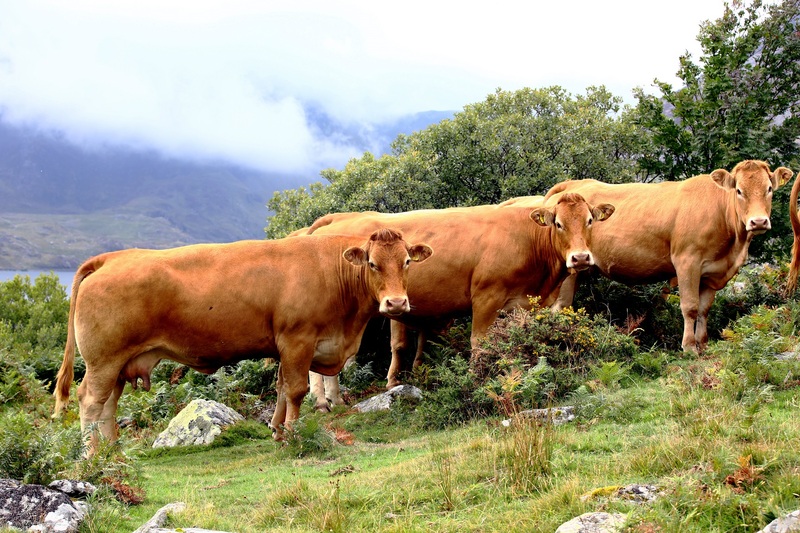 He believes more flexibility in the way individual farm schemes are set up is needed in order to accommodate the differences in conditions between mountains and the changing seasonality of the weather. “There are good things and there are bad things about environmental schemes. The capital works element has been of considerable benefit, creating work in rural areas and keeping a lot of families living in the surrounding areas,” he adds. 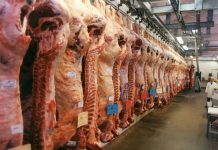 But when it comes to managing the land in the uplands Hefin feels that the restrictions placed on stocking levels have largely been incorrectly assessed. The family has been involved with environmentally-based development initiatives for many years, ranging from Snowdonia National Park and National Trust-inspired projects to the Welsh Government’s Tir Gofal and Glastir land management schemes, with on-farm work over the past decade including building stone walls, laying hedges, shutting off streamside corridors and restoring traditional buildings. Perhaps proving most significant of all is that while the farm supports a wide range of habitats and species, eight of the 17 remaining pairs of Twites left in Wales are to be found on the upland grazings. A small brown bird of the finch family and similar in size and shape to the linnet, it has bred in the uplands of Britain for over 8,000 years but numbers have nosedived in recent times to no more than 100 breeding pairs, mostly to be found in the Pennines of northern England. So why is it to be found on the Jones family’s upland ground? “Because of the cattle,” says Hefin. 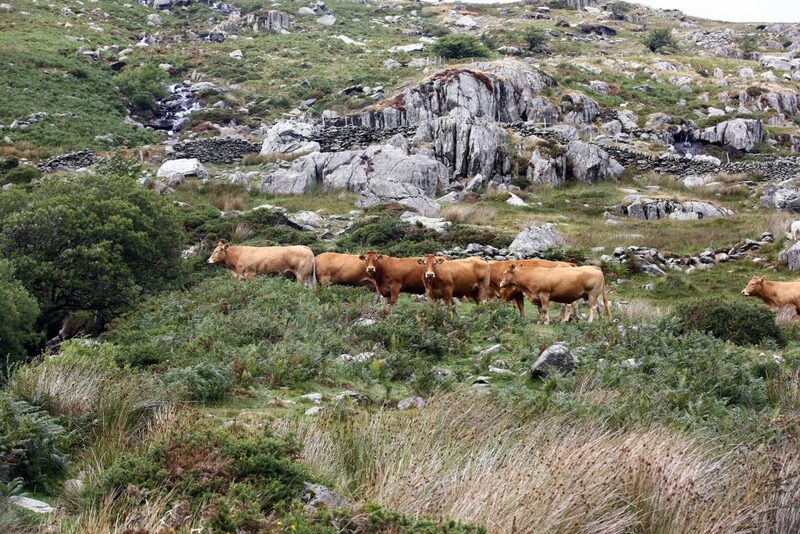 “We summer most of our pedigree cows and heifers on our mountain land between May and October and what a good job they are doing, showing that cattle can be kept on the uplands alongside sheep and managing habitat for the benefit of the environment” he adds. Looking to the future Hefin is hoping there will be a thriving industry for Caleb, his one year-old son to follow on should he want to. 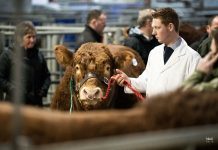 As to his own farming future current stocking levels are largely balanced with both cattle and sheep numbers likely to remain the same. But one thing that will not be changing is his commitment to Limousins.